Food-borne illness in restaurants was very common a century ago. Improvements have been made, but it still causes harm to this day. The CDC states that 76 million of these diseases are caused by salmonella and campylobacter. These bacteria have caused 80 percent of food borne illnesses and 75 percent of deaths. They are caused by meat and poultry, but seafood is the leading cause of food poison. Treat your poultry and seafood properly. 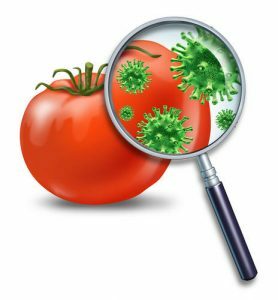 Just a little food safety know-how and you can decrease chances of food contamination. Always check for color, odor and texture When buying chicken, its color should be pinkish, not yellow or gray. Fish should always be shiny and firm, It should also have a fresh mild smell. Always check your packages. If it looks like its been thawed and refroze don’t buy it. Check your sell by dates avoid anything that has dents or tears in packaging material. If your food has ice covering the package on the inside, more than likely that food is bad.